These are photos of me and my daughter Jess over the years from baby to about age 12. The b&w's were from some old strips taken in photo booths at the mall. She was a little surprised in one of them...lol! I tried using another media - stamping on acrylic paint. Other materials: Recollections Family Tree paper and Boho wooden stamp, Crafts letters and materials from my hoard. Gorgeous layout! Pretty design and accents! Beautiful page and photos! Love the design and details. So pretty, like how you stamped on the acrylic paint. Sweet photos too! 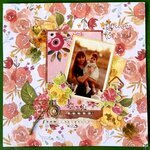 What a sweet layout and cute pictures! 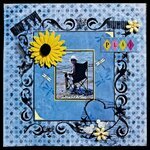 I like the stamping on acrylic paint you did! Very cool! The oval frame with flowers is so pretty! Beautifully done! 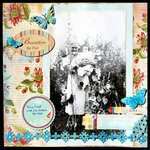 I love the butterflies and the stamping! 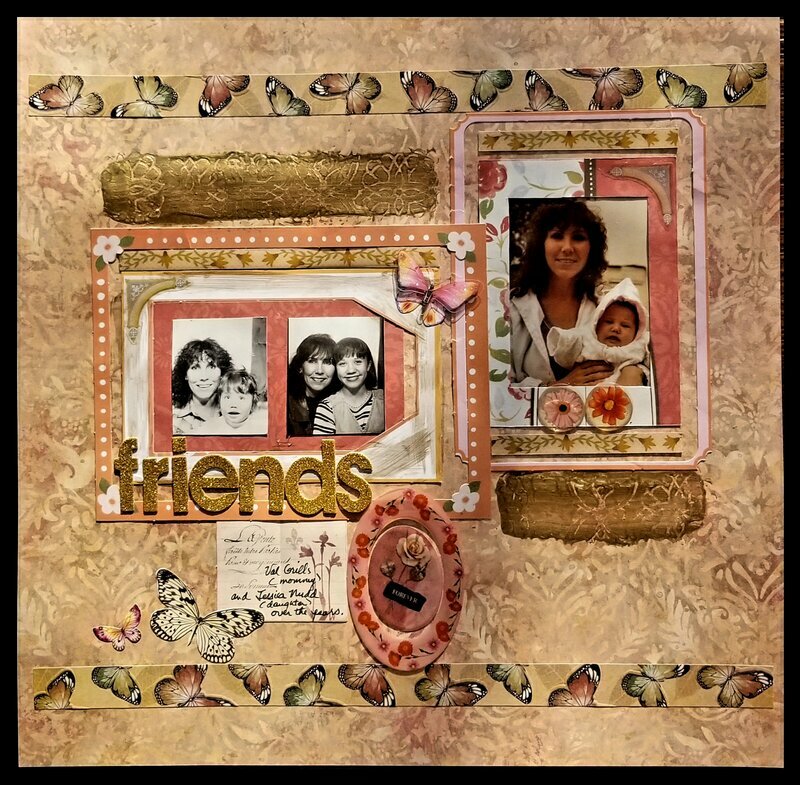 Sweet photos, beautiful page; love the framing and the butterflies and the effect of the stamped acrylic strips!!!! Pretty layout! Thanks for participating! The stamping on the acrylic paint gives a really pretty effect!